← History of Women Philosophers and Scientists – International Libori Summer School 2017. Call for applications. Project Vox, the go to website for teaching, studying and researching early modern women philosophers has just added one new philosopher to their database. 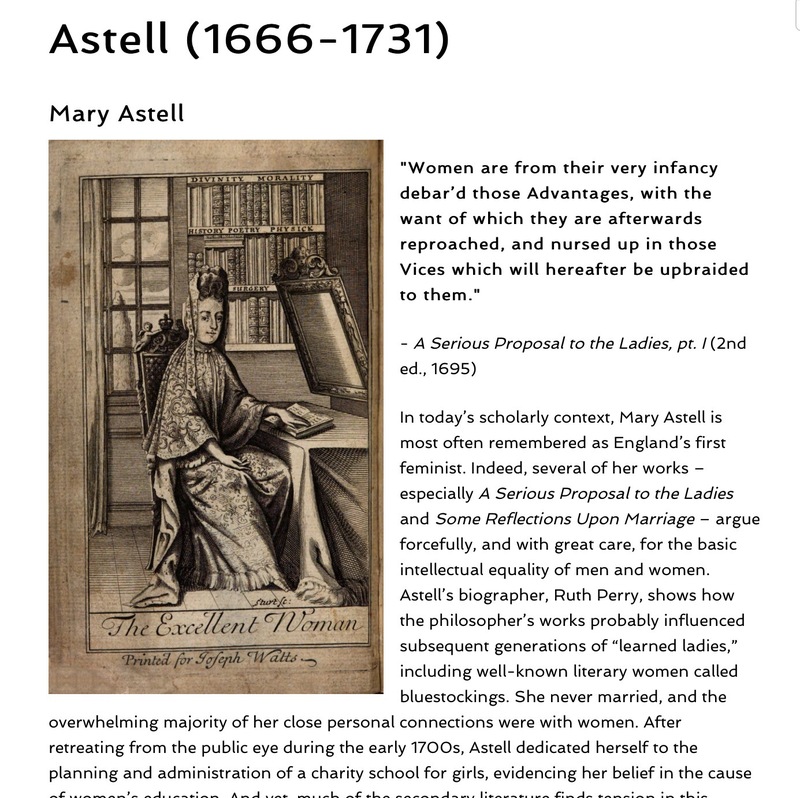 Check out their material on Mary Astell here. Thanks to Andrew Janiak and his team for their work on this! Below is a screen shot from the new page.